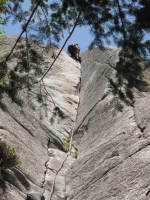 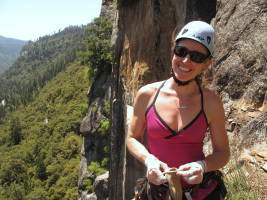 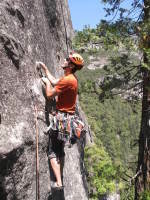 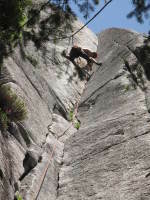 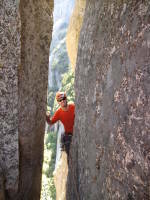 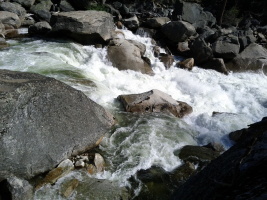 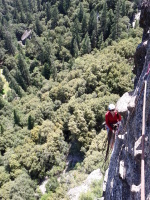 On Saturday, we climbed at Pat & Jack in Yosemite. 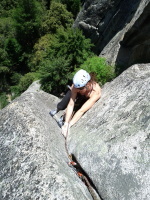 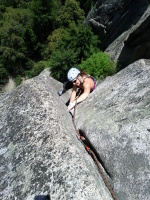 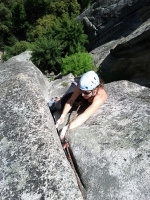 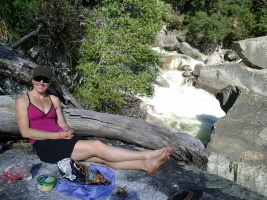 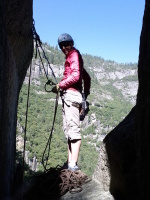 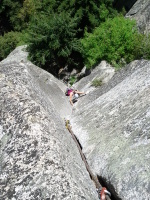 It was fairly cold overall, so perfect for cragging in the sun! 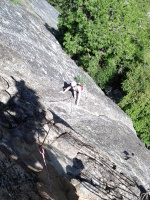 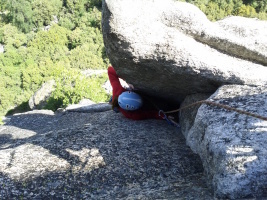 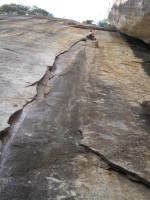 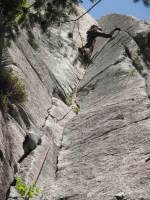 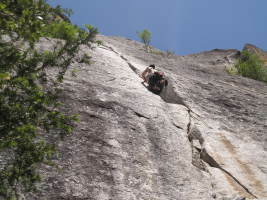 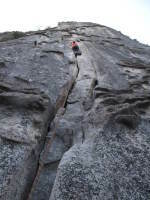 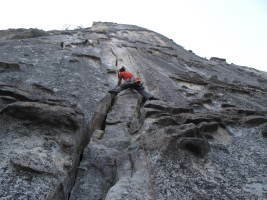 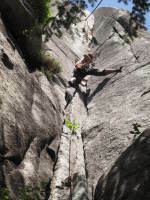 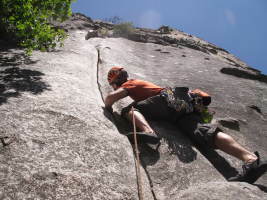 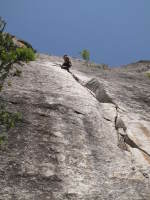 We climbed a new route there (Super Slacker Highway), that goes for 8 pitches or so - nice! 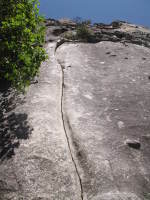 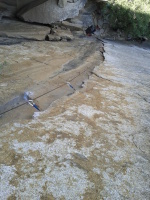 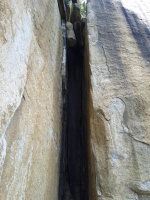 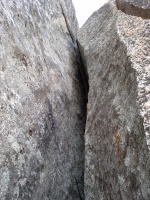 It normally starts with Knob Job, but since that was taken we started with Sherrie's Crack, and then did Knob Job at the end. 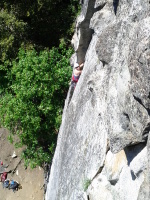 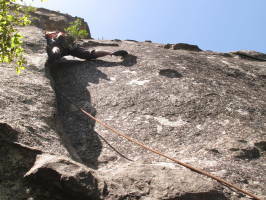 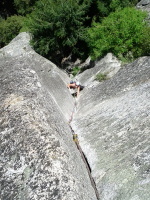 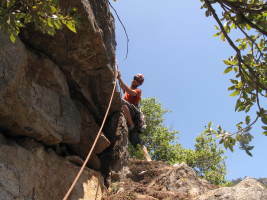 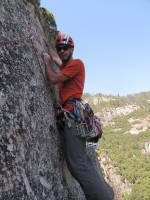 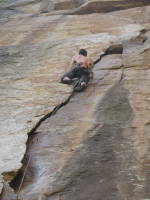 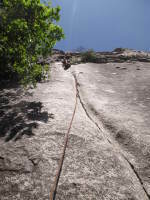 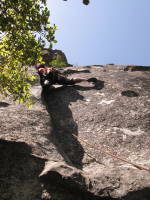 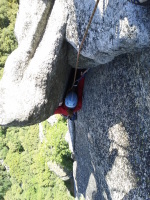 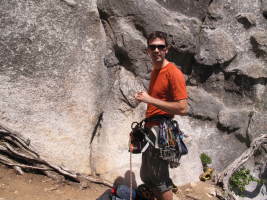 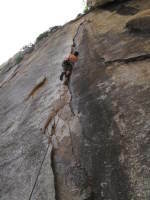 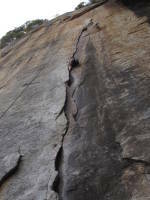 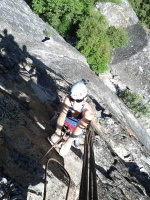 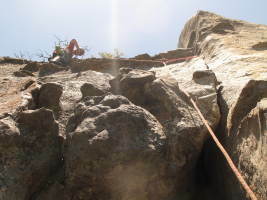 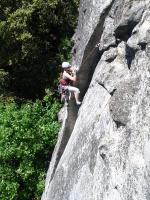 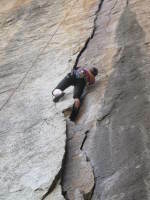 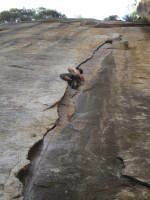 Sunday was more cragging, we did Catchy/Catchy Corner at the Cookie and Outer Limits, so much fun. 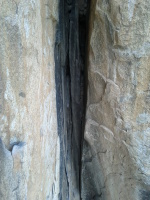 The second pitch goes through knobs through a few bolts Slightly contrived but fun 5.10a move Nice views! 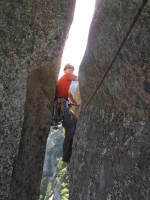 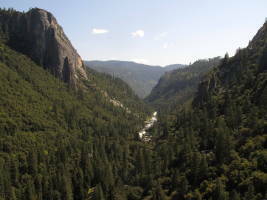 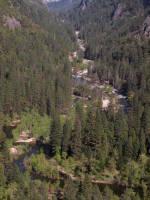 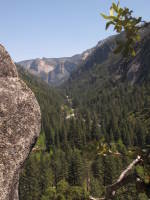 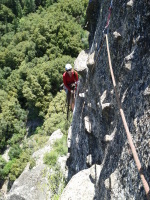 The 5.10 mantle is above me - found it very hard Cool view of the Merced! 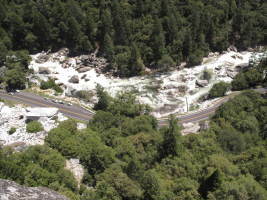 Liebacking through the last part Almost there!